Earl Grey, hot. This quote is known to all “Star Trek – The Next Generation” fans, spoken by Captain Jean-Luc Picard while ordering a replicated tea. This kind of impression the MakerBot made on me. In his talk “MakerBot: The Robot that Sharing Built – The Open Source Personal Fabrication Revolution” at re:publica 2010 Bre Pettis talks about technology and how open-source will create a plethora of creative produces. A MakerBot is an inexpensive 3D printer (from $750), which uses very cheap plastic as printing material. The 3D objects which can be printed and replicated are fist-sized. The 3D models can be up- or downloaded for free on Thingiverse, MakerBot’s 3D printer community. The models can be edited using free software. A lot of people are inspired by the models they download and start improving them to subsequently upload them again. A win for everybody. 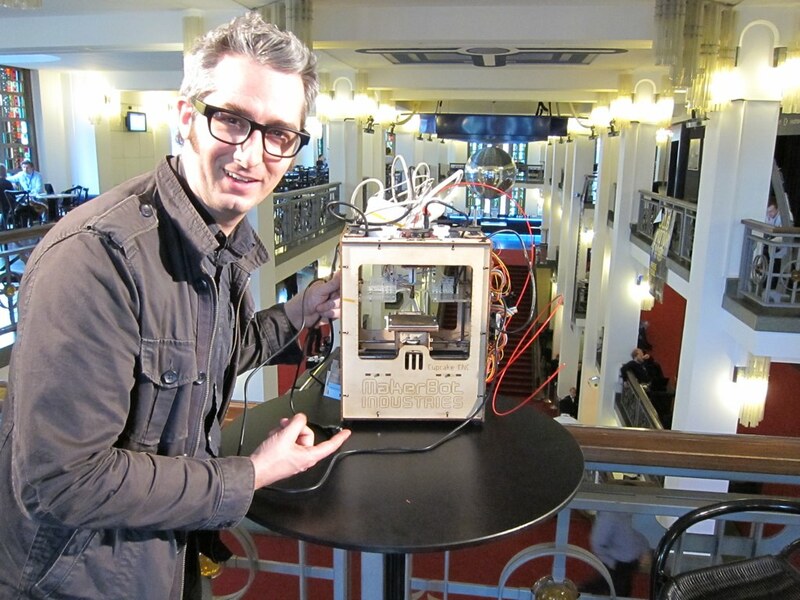 Two days ago they sold the 1,001st MakerBot, which are built in Brooklyn, New York City. What sounds like science fiction is actually quite real. Not in the movie sense but still. Bre Petis told a story about him riding the New York City subway to a demonstration of the Makerbot. He got a notification on his phone about an upload to thingiverse. He checked it out and it was a whistle. After arriving he downloaded the whistle model and printed it while demoing the printer. The object “moved” in about 30 minutes from the south of Bavaria, the place where the uploader lives in Germany, to Lower Manhattan. 3D printing is a new and exciting opportunity to challenge established express delivery services and common value structures.